It's hide-and-seek as you've never played it before ... with peephole windows and lift-the-flaps! 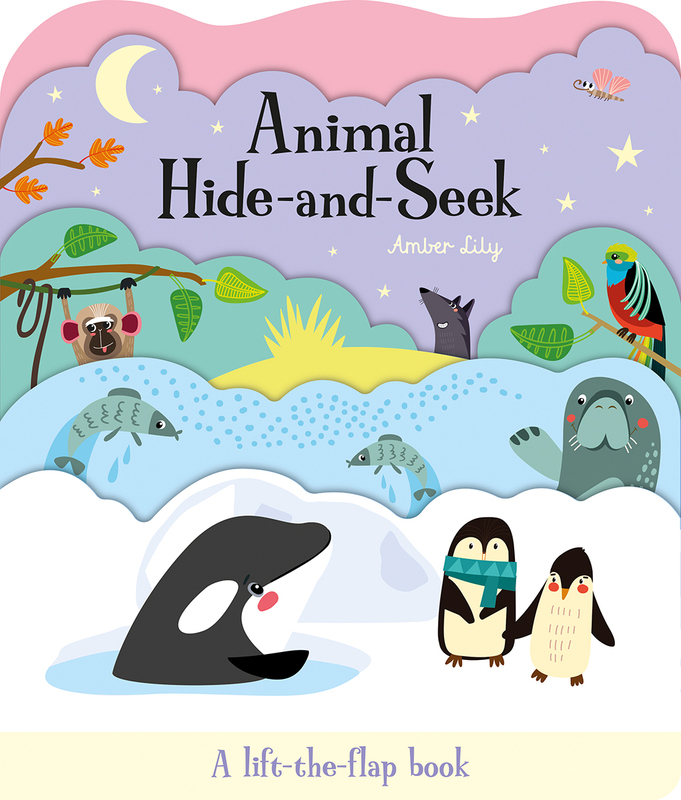 Lift the flaps to discover which colourful creatures are hiding in each vibrant habitat scene, complete with a rhyming pattern throughout that children will love joining in with. Peep-hole windows add to the interactive storytime fun, perfect to read, share and learn together. Shaped pages are used to create a high-impact, multi-scene cover. Die-cut windows add excitement to every scene. New author Amber Lily added her charming, child-friendly voice to the world of children's publishing during an internship. Amber loves onomatopoeia, has an ear for rhyme and freely admits to sniffing the occasional book! Ukrainian artist Zhanna Ovocheva is a master of the vector! Zhanna's illustrations are full of fun and humour and have massive kid-appeal! Most of all, Zhanna draws with love, and we think this really shows in her art.